Kristen Anderson, LCSW, is a licensed clinical social worker in the Department of Psychiatry at the University of Chicago. She earned her bachelor of arts degree from the Honors College at the University of Michigan-Ann Arbor, majoring in psychology and completed her masters degree from the University of Chicago School of Social Service Administration. She specializes in the treatment of eating disorders and assessment of bariatric surgery and MALS patients. 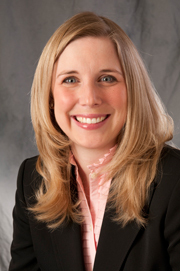 In addition to her clinical work, Ms. Anderson’s research interests including family based treatment for adolescents and young adults, quality of life in MALS and assessment and pre/post operative guidance for bariatric surgery patients. Tina N. Drossos, Ph.D, is a licensed clinical psychologist who specializes in child and adolescent psychology. She serves as an Assistant Professor in the Department of Psychiatry and Behavioral Neuroscience. She received her Ph.D. in Clinical Psychology from the Illinois Institute of Technology; Institute of Psychology. Dr. Drossos completed her clinical internship training at The Children’s Hospitals and Clinics in Minneapolis and then went on to do a post-doctoral fellowship at Children’s Memorial Hospital in Chicago with an emphasis in pediatric (health) psychology. Dr. Drossos provides assessment and psychotherapy services for the general outpatient Child and Adolescent program. The majority of her work is related to working collaboratively with multiple subspecialty services across the medical center (including, endocrinology, hematology-oncology and surgery (MALS)) providing both assessment and interventions services to patients with co-morbid medical and psychological diagnoses. Dr. Drossos’s interests include health related quality of life, coping and pain management in individuals with co-morbid medical and psychological concerns. 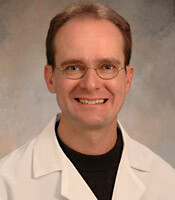 Jonathan Lorenz, MD, is an expert in interventional radiology for adults and children. Using image guidance and manipulating tiny instruments, he performs minimally invasive procedures for diagnostic and treatment purposes. These techniques often allow patients to avoid open and more invasive procedures. Dr. Lorenz focuses his research on three areas in interventional radiology: liver transplantation, pediatric intervention, and embolization. 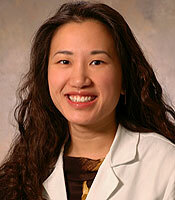 Grace Mak, MD, has expertise in providing surgical care for children of all ages. She specializes in the surgical treatment of neonatal diseases and congenital malformations, anorectal malformations, inflammatory bowel disease, and pediatric oncology. Her research interests include advancement in minimally invasive techniques, innovations in surgical education, and health care disparities. 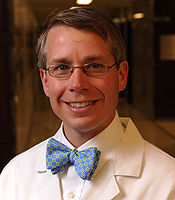 Christopher Skelly, MD, is board certified in both Vascular and General Surgery. He specializes in complex aortic and mesenteric pathology as well as minimally invasive approaches to treat vascular disease. In addition to his interest in Median Arcuate Ligament Syndrome, Dr. Skelly's research interests include the study blood flow and how arteries remodel in response to stress. Christoher Speaker, RN, MSN, APN, FNP-BC, CPN, is a board certified family nurse practitioner and certified pediatric nurse for the section of Pediatric Surgery. 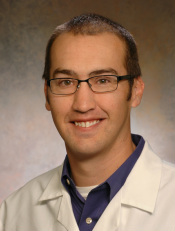 In addition to his role as a nurse practitioner for Pediatric General Surgery, Christopher also acts as the coordinator for the median arcuate ligament syndrome (MALS) program. He earned his bachelor of science degree in speech language pathology from Illinois State University, his nursing degree from Prairie State College and his master’s degree in nursing from Saint Xavier University. In addition to median arcuate ligament syndrome, his clinical interests include operative first assisting and the management of children with gastrostomy tubes. Maya Sztainer, BA, is a project coordinator for the University of Chicago Eating Disorder Program. She earned her Bachelor of Arts degree in social welfare with a concentration in psychology at the University of Wisconsin, Madison. Her work at the University of Chicago Medical Center involves coordinating and conducting assessments for a research study aimed at improving Family Based Treatment for adolescents with Anorexia Nervosa. Maya is also involved in work with the Median Arcuate Ligament Syndrome Program. 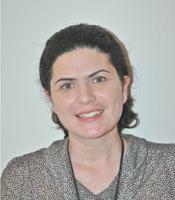 She assists in coordinating the pre and post surgical evaluations for adolescents and adults with MALS.